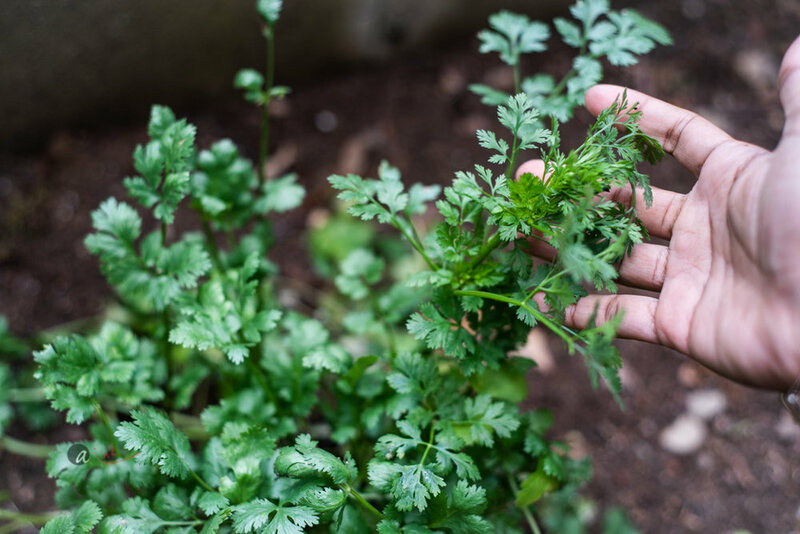 This herb, despite, its popularity in tropical cuisines, is a cool weather crop that does well in Spring and early Summer. This is also the best time to keep it growing. As soon as the weather touches and stays 80F, it start bolting (you can mine has). A term used when the stems shoots up and starts flowering, signaling the end of the crop season. You can't prevent it but pruning the tops regularly will allow for shoots to branch from the main stem, giving you a crop for longer. You can also attempt to shade it a bit, when the temperature inevitably starts creeping up. I don't know the success rate of this as I have not had the opportunity to try. Green leaves of spinach, lettuce etc. again are crops that can be growing through the season by advantageous harvesting. Depending on the variety, you can simply, pluck away the outer leaves, letting the inner ones to develop and grow for a continuous harvest. 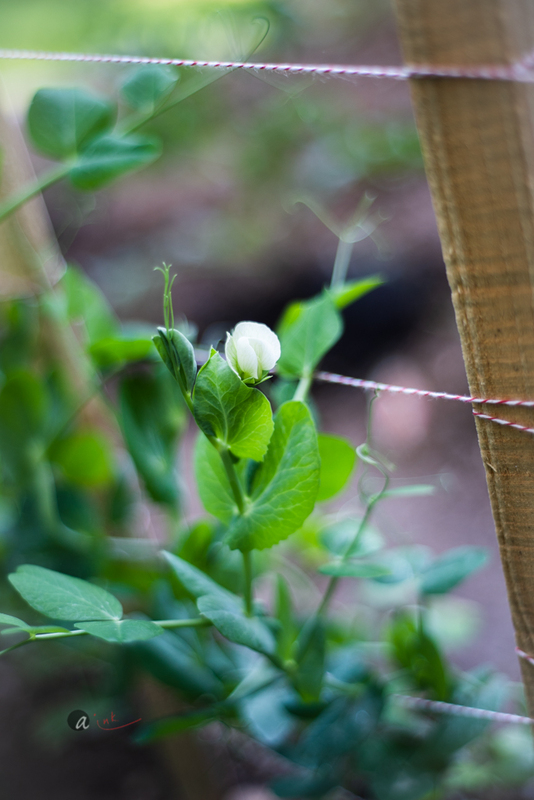 The sugar snap peas had just started flowering their gorgeous white flowers. These then become pods (next photo) and take a couple more weeks before they are ready to be picked. I planted sugar snap peas that are harvested before they fully ripen on vine as they lose their sweetness the longer they are in the vine, just like the radish. Peas are self-pollinating and air flow seem to help them. Also, if you have different varieties growing next to each other and are in a bee friendly area, it would not a complete surprise if you get some hybrids! I did notice that the flowers on the windward side were faster pollinating than those that faced the plant side. I also gently pulled the stems to help them climb up the DIY trellis, again allow more air to circulate between the buds. This is the stump and root of a birch tree we cut down late last year. I love the shape and patina on it and plan to make it the design focus for this patch. This area is earmarked for flowers and herbs, some perennials like peonies and roses and some annuals, like dahlias, marigolds etc. It was finally time to bring my resident fig plant outside. My little 3 year old had been rather dormant through her stays in Brooklyn and Queens, but finally starting shooting new leaves this season. I think the culprit was the lack of sufficient light before. A very revealing lesson. Even though she was always kept by the window, I realize it still was not enough sun/light for her to grow, just enough to stay alive! It is really very easy to overestimate how much light you have in the house.